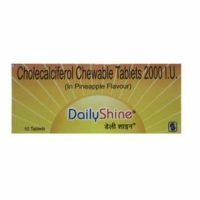 It is used to treat and prevent hair fall in male patients.It provides nourishment to the hair and keeps it healthy. It thickens hair and curbs the incidence of hair loss. 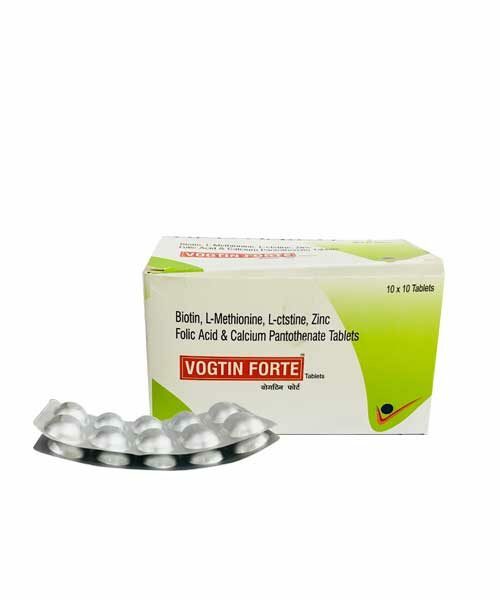 Vogtin Forte Tablets is used to treat and prevent hair fall in male patients.It provides nourishment to the hair and keeps it healthy. It thickens hair and curbs the incidence of hair loss. 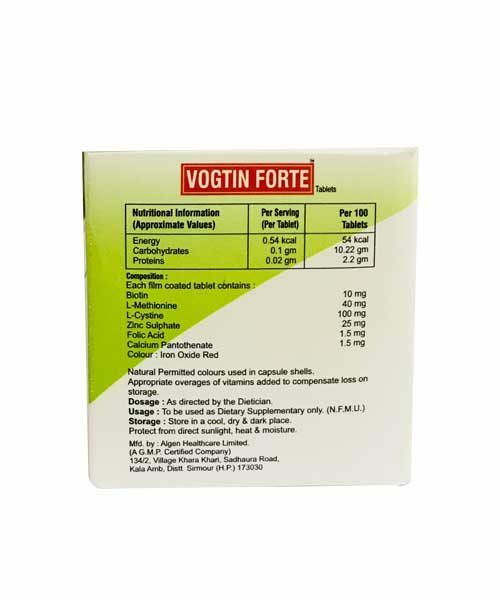 Vogtin Forte Tablets contains : Biotin, L-Methionine, L-Cystine, Zinc sulphate, Folic Acid & Calcium Pantothenate. Biotin is a B complex vitamin that converts food into energy. 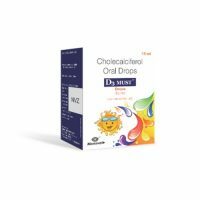 It provides nourishment to the hair and keeps it healthy. It thickens hair and curbs the incidence of hair loss. 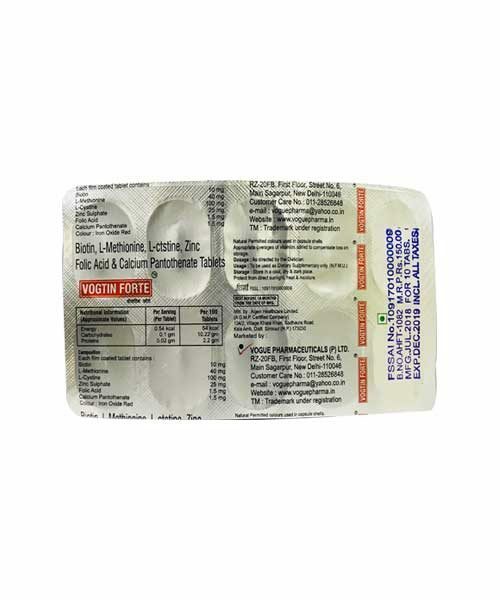 L-Methionine and L-Cysteine are amino acids that are the building block of proteins. They help in hair growth and strengthen hair.Zinc Oxide treats zinc deficiency and acts as an antioxidant that protects hair.